There are many times over the years when I have really had a great Christmas. The cost of the gifts were not the focus, but the item, the thought that the gift giver put into the gift. I am so thankful for the kind and generous thoughts given this Christmas season. These aren’t distant memories that I generally share, but recent and precious memories. This Christmas must top the ‘thoughtful’ gift scale for me!! The gift giving began on Christmas Eve for me. We are a military family and many holidays must be spent far away from our loved ones. Christmas has always been hard for me in this respect. This year we were invited to a families house that has sort of adopted us. Our children call them Gran and Papa. Our kids play very well with their grand kids and we happen to enjoy the adults our age as well 😉 We enjoyed EXCELLENT food, but the best part was feeling part of a family during the Christmas season. We miss that. 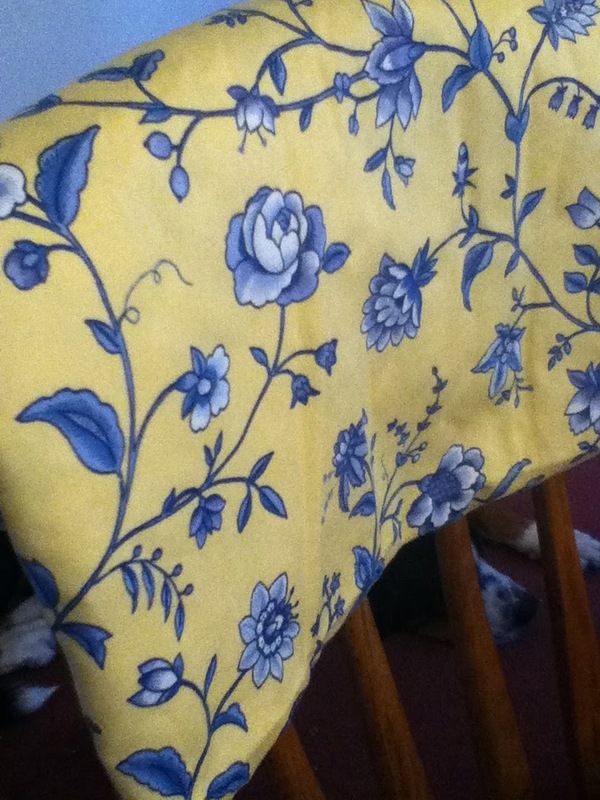 Gran also put some hours and hard work into making me a quilted table runner. The pattern is so attractive that I just like to sit and stare at it. It looks amazing under our advent wreath!!! I had several very thoughtful gifts this year!! I collect Charleston carved houses and my son found several on sale in a consignment shop! One was a collectors dream, limited edition. 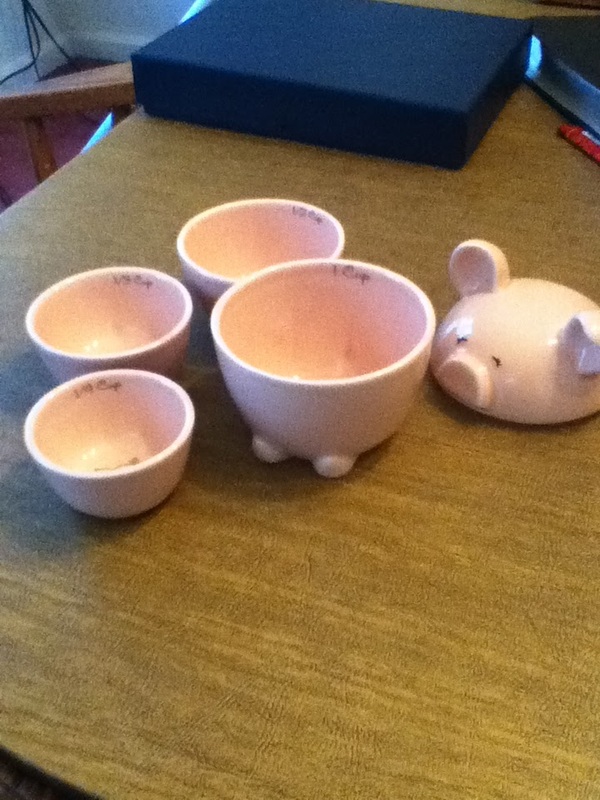 My husband gave me a very unique set of measuring cups: they are shaped like a pig and they nest. I collect pigs and love them!! Now I am truly torn, do I use them or display them? They are currently displayed, but I am going to use them 😉 He also gave me the very thoughtful gift of a Sherpa lined flannel for our cold house, he gave me a delightful old school sleeping gown, and 9×13 pans that I can serve from because they are actually attractive 😉 Last, but not least, a speaker for the kitchen area. This way I can enjoy music while I am cleaning. Not huge ticket items, but very thoughtful!!! My mother sent me a shirt with my home state outlined with towns on it!! She also sent me a great antique looking table cloth that didn’t cost her a thing, but it so great and such my color scheme that I truly love it!!! My younger sister gave us another family game, because we just love doing that sort of thing!! My baby sister sent coffee beans… a delight to the coffee addict. My hubby’s family gave us a popcorn bucket with our home state football team on it!! They also sent along a music CD with the game fight songs on it!! Now we can enjoy the Bowl game this Friday in proper style!! GO HAWKS!! Please feel free to share your Christmas memories with me!! Whether they are from long ago or just yesterday, they were meant to be shared!! Be sure to include the button in your post so others can share their memories with us. The soldiers are coming home, now what? 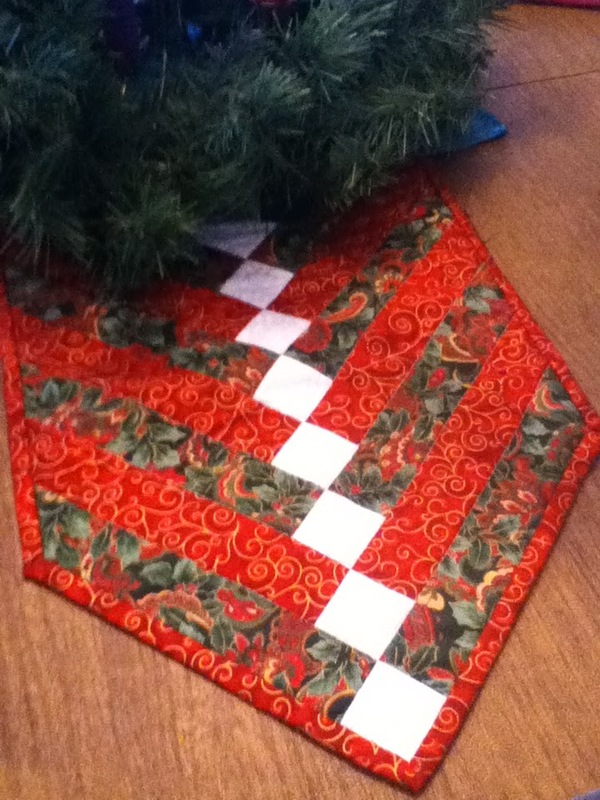 I’m glad you like the table runner, it was a joy making it for you. And we LOVE having you guys in our family 🙂 Way to go, Ben … those pig measuring cups are a.d.o.r.a.b.l.e Definitely use them! Merry Christmas Mrs. 4’s!!! I thought of taking a pic in the jammies but thought against it…maybe later when I know a picture will be taken ;-)Thank you Susan!! You guys really rock!! Now I will be dedicating some time to my new quilting knowledge.